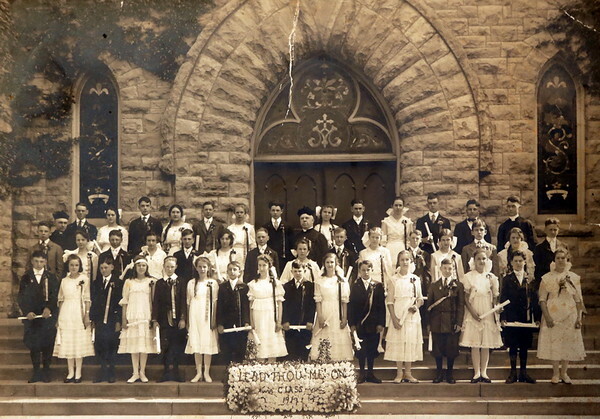 8th Grade Graduation St Mary's Evanston, IL 1917. Catherine McKulski 2nd row middle in front of Fr. Smyth.